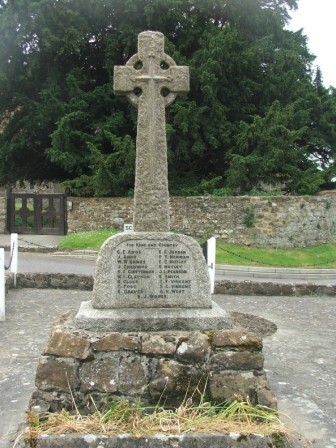 The memorial looking towards the church. The names of those who died during World War One. J.N.M. Muir the only name from World War Two.